This week Ramdesh shares part two of her new CD, Stress-Relief Meditations: Guided Meditations for Busy People. Find yourself a quiet space and time to delve into these meditations, which are accompanied by Ashana’s beautiful crystal singing bowls. The first is a physical healing meditation. Along with the Global Sadhana “Become a Living Prayer,” Spirit Voyage has implemented a prayer list and there are thousands of requests for help. A vast network across the globe is praying and one of the most common requests is for prayers for health and healing. 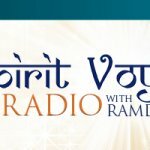 It can be so challenging when you are in a state of disease to relax and allow well-being to take over, but we are pre-programmed to be healthy and vibrant, Ramdesh points out. Sometimes we need help from the outside, and a guided meditation with crystal bowls can be soothing and aid in the healing process. From that place of relaxation you can start to heal; calming the body helps your immune system do its job. Tune in to the “Guided Meditation for Physical Healing” and begin your journey to health, vitality, and well-being. 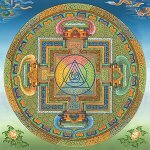 At the end of the meditation, seal the energies with three deep inhales and exhales, and then sit in silence. The next process is the “Guided Meditation for Body Image Acceptance.” This is a great meditation to help with eating disorders. If you have a negative body image and struggle with negative self-talk, this is the meditation for you. The first step is to replace negative self-talk with positive self-talk. Use this meditation as you embark on the journey of changing the pattern. It’s not a quick fix, but it can help you make friends with your body and come to peace with your glorious being. Settle into a guided savasana process resting in “corpse” pose called “Guided Meditation for Stress Relief.” Learn to become relaxed in the body and mind, sinking into mother earth as you let go. You’ll flood your body with peace, energy and light as stress drains out. Inhale ease and gentleness as you sink deeply into your breath, and then as you exhale let go of all that does not serve you. Ramdesh’s gentle voice will be your guide. 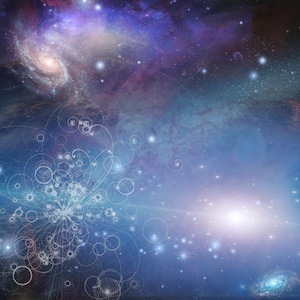 The “Guided Meditation for Expansion and Light” concludes the podcast. You don’t have to be going through something challenging to benefit from this one. If you’re in a general state of happiness, you can feel even better! Ramp up the happiness: Why not? Ramdesh uses this process of astral travel quite often in the classes she teaches (if you ever get a chance to attend you’ll be in for a treat!). Listen and let your mind and spirit spread their wings! 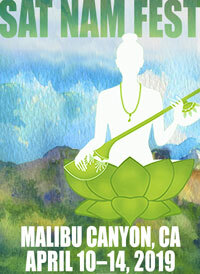 Come along on this magical meditation tour and buy your stress a one-way ticket out of town.